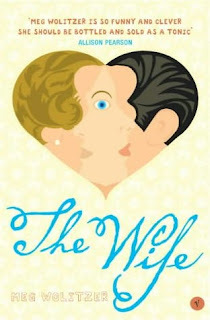 If you've never read a novel by Meg Wolitzer , you're in for a treat, especially if you've chosen to read The Wife . As the wife of a successful writer, Joan Castleman makes the decision to leave her husband while in the midst of a flight to Helsinki to attend an award ceremony on his behalf. As Wolitzer switches between past and present, thus unfolds the story of the Castleman's relationship spanning forty years; which according to cool and collected Joan has been quite the tumultuous experience. Joan Castleman's story is so entertaining, sarcastic, brutally honest, and witty that you'll breeze through this book in a matter of hours. Numerous implications are made throughout the novel pertaining to the challenge of marriage, which hold true for any couple despite it being happy or terrible. It seems as if when Wolitzer wrote the novel, she took her content from a personal journal of rants, angry thoughts and frustrations which make The Wife that much richer and a piece of work we can ALL relate to! Wolitzer's talent as a writer is splendidly demonstrated through Mrs. Castleman's clever and intimate monologues. Another bonus to reading The Wife is that it gives readers an inside look at the lives of writers, their egos, and honest reactions to fans. While Mr. Castleman is not the poster child for all artistes, it certainly is entertaining to gain perspective on the arrogant writer he is. The mention of the jar of candies is what gets me; Wolizter weaves subtle, yet powerful descriptions of each scene in The Wife on every page. The novel is pure literary brilliance. The conclusion of The Wife is unpredictable. You won't be able to guess the ending, so just sit back and enjoy the 219-page ride. Without providing spoilers I will say this: In regards to poor Mrs. Castleman, what is the point? Love makes us all do crazy things! It just never fails. After reading The Wife , I've added all of Meg Wolitzer 's novels to my wish list for future reading. Her first novel, Sleepwalking was published in 1982, while the novels released after The Wife include The Position (2005), The Ten-Year Nap (2008), and The Uncoupling , scheduled for its release in 2011.